Rainbow Trout recipes for on the go and doin' it slow. 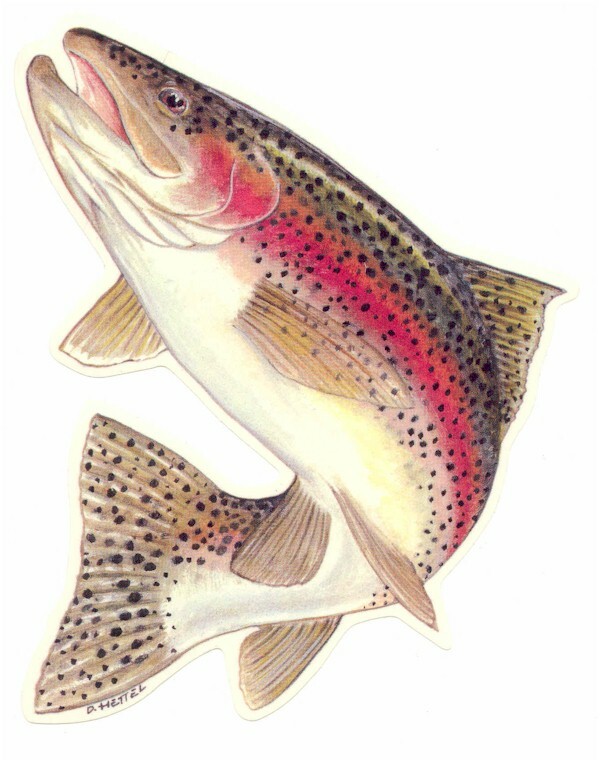 Rainbow trout is most likely the one you have heard the most about. It is available in grocery stores and restaurants all over the world. Why? Because it tastes good, that's why! So whether you are in a rush or bringing them home to the wife (or husband) to cook, you are going to enjoy these recipes. In a rush? Try this one on for size, fellas (gals)! So simple, the “better-half” won’t mind cooking it for you! Herbs of your choice to taste. I suggest tarragon, a touch of ginger, or maybe some chervil if you can get some. If all else fails, go to the old standard onion powder, seasoned salt, basil, oregano and parsley flakes. In a bowl, mix the mayo, minced garlic, lemon juice, the herbs YOU chose and pepper. Mix well and cover the flesh side of each fillet with one-fourth of the mayo mixture. Place in broiler for about five minutes. Fish will be flaky and topping will bubble when ready. Remove to plate and attack with a fork. Yummy! Rainbow trout recipes abound!! Got a little time on your side? Try this one, guys/girls (gotta be politically correct with these rainbow trout recipes, ya know). In a skillet, preferably a heavy iron one, cook the onion, mushrooms and flour to a golden brown. Toss in the crab meat and toss to cover evenly. Dash in the pepper, oregano and thyme. Take this mixture, wave it over your head three times while…just kidding. Place some of the mixture on the trout fillets and fold the halves together. Wrap these in the grape leaves. Now wrap bacon around this until totally covered. Put in a pre-heated 320 degree oven on a sheet of foil. Bake for approximately 60 minutes. Remove from oven and garnish with paprika and parsley for color and a beautiful presentation. Any vegetable will do. Green beans tend to go nicely with trout dishes. Maybe a lightly seasoned cornbread stuffing. 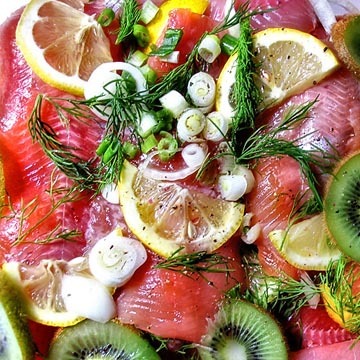 Whatever you decide to do with your rainbow trout, I am sure you will enjoy it. I know I have, and hopefully will again as soon as I get home! The day it got away. For further information, please CONTACT US or visit our Online Fly Shop. Once at the Online Fly Shop, take a look at the Magnetic Tippet Threader It's the hottest product we've ever seen. You can be blindfolded and still thread a hook with this inexpensive but amazing device. No more squinting.